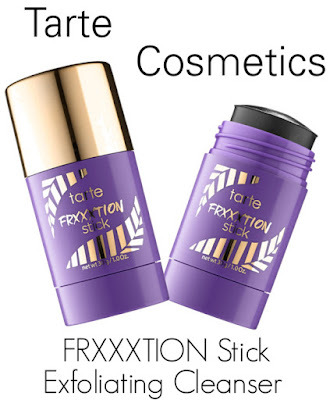 Usually there's some preamble before I begin the review, however my dirty joke on the definition of a Friction Stick was thrown violently out the window, when I realized Tarte Cosmetics has a different spelling of the word "Friction". With that said, I think its only fitting that I hastily jump into the review. Lets get started!!! Coming in at $22 this product has only 1oz of product which means that it has less product than similar items on the market. The product should have at least two different sizes of micro-exfoliants which would provide more exfoliation, leaving the skin smoother. 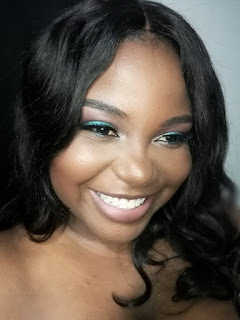 The product claims to be three in one (exfoliator, cleanser, and face mask), however there is no major difference when you use the product as an exfoliant or a mask. Final thoughts this product might be bested for someone with sensitive skin, I must admit that it did leave my skin some what smooth, however while using this product I have add baking soda for more exfoliation, if you do not have sensitive skin you might want to try the Origins- Modern Friction Gentle Dermabrasion this not only has in my estimation at least three different micro-exfoliants, but has a really refreshing citrus scent, it leaves your skin soft and smooth. The Tarte Cosmetics- FRXXXTION Stick gets a 2.5/5 which means its not worth a repurchase. For more information on the product, claims and ingredients. Get your quick Frxxxtion fix with this three-in-one exfoliator, cleanser, and face mask all in a portable, solid-to-suds stick. With a clarifying cleansing gel powered by the Rainforest of the Sea™ complex and suspended diatomaceous earth microexfoliants, the vegan-friendly formula draws out surface oil and reduces shine, while purifying pores for the deepest clean possible. The hypoallergenic gel stick gently sloughs away dead surface cells and polishes skin as it cleanses to fight dullness and pump up the radiance. Great for all skin types, it can be used on a regular basis without stripping skin’s moisture or left on as a treatment mask to absorb toxins and reveal smooth, glowing skin. Ideal for on-the-go use, this travel-friendly cleanser features a targeted, straight-to-skin applicator that can be massaged directly onto the face so you can get dirty and then sparkle clean all in one fix. Diatomaceous Earth Microexfoliants (Fossilized Sea Algae): Absorbs surface oil and toxins while acting as a gentle exfoliant. Water, Butylene Glycol, Sodium Stearate, Bis-PEG-18 Methyl Ether Dimethyl Silane, Glycerin, Diatomaceous Earth, Sodium Lauroyl Methyl Isethionate, Cocamidopropyl Betaine, Quaternium-90 Sepiolite, Charcoal Powder, Sodium Methyl Oleoyl Taurate, Sodium Cocoyl Isethionate, Quaternium-90 Montmorillonite, Kaolin, Phenoxyethanol, Chlorphenesin, Sodium Benzoate.